The time has come for the trial of Will Graham to begin. But, as the status of Will’s guilt remains in constant flux and every character is confronting their own understanding of what the truth is, it’s not just Will who is being judged. 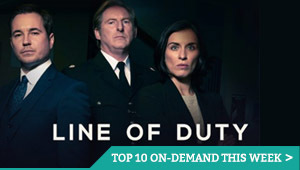 FBI investigator Kade Purnell’s steely glare turns on Jack Crawford several times this week and Alanna Bloom is placed under a spotlight by Will’s defence attorney. Do we know who’s really on trial? With the departure last week of Hannibal’s therapist, the fantastically named Bedelia Du Maurier (a departure which will no doubt become more significant in the future), we see the return of another character from the previous season: meddling journalist Freddie Lowndes. 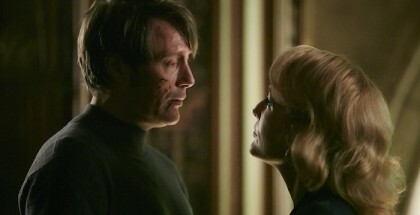 Her contribution to the episode is brief and her position in the Hannibal universe unclear (we had her marked for death since we first met her – in her very first appearance she was presented naked, in out mind denoting ‘dead meat’). Meanwhile, Will’s relationship with both the murderous Garrett Jacob Hobbs and his daughter, Abigail, are brought once again to the fore as evidence. 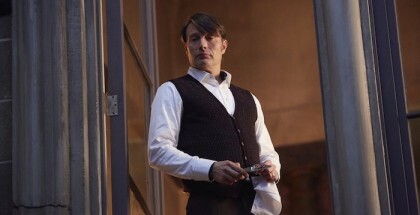 The meaty courtroom drama means there’s no time for Hannibal’s cookery shows this week. But there is, as always, plenty of time for his fine line in snappy suits, a grim murder or two, and a magnifying glass to illuminate the confusing bond between him and Will. Does the good doctor intend to save his friend, or hang him out to cure? 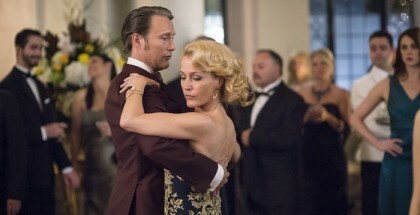 If last week’s theme was opposites, this week’s is copycats, doppelgängers and mirrors – from the opening scene, which sees Hannibal and Will simultaneously suiting up for trial, to the later gruesome homages to Will’s supposed crimes, it is the links between characters that create the tension in this episode. 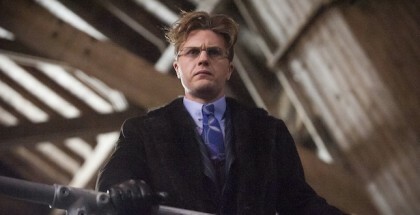 From the ties that bind together – Jack’s confused yet unwavering loyalty to Will contrasted with his fragile grip on his dying wife – to those that keep apart – Alanna’s resolute insistence not to admit her feelings for Will (and thus elevate her character out of that of romantic interest role) – connections run through the show like the synapses in the brain. Here, we see them exposed in one of the most beautifully gruesome killings in the series yet, a poetic reminder that justice in this show will never be as final as death, nor as simple. Exposure is the name of the game. But while Will and his supporters can only reveal the truth, somewhere in the darkness is a liar weaving his most intricate web yet.